>> See last year's winners. 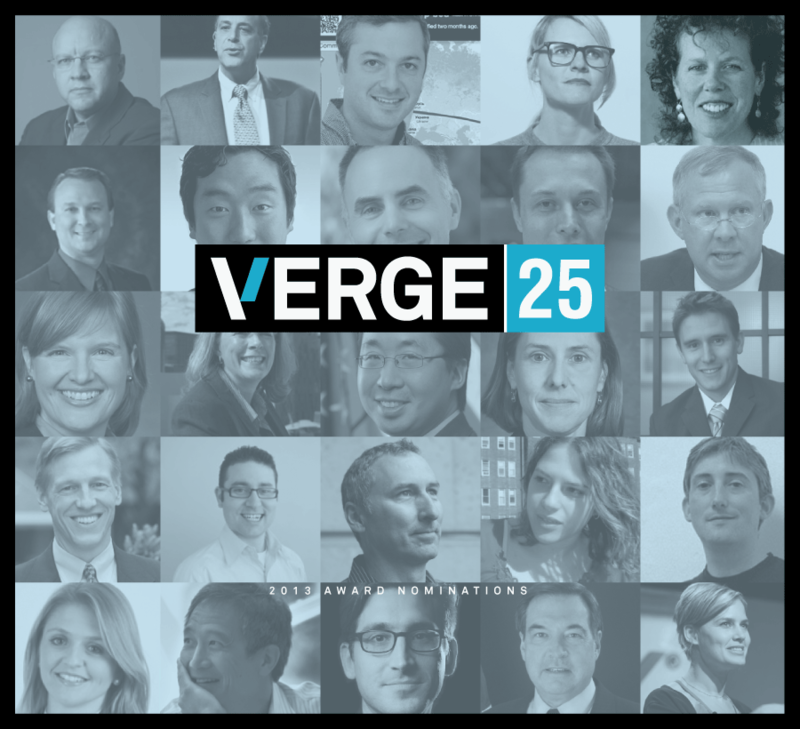 The VERGE 25 awards honor and celebrate individuals at the forefront of the convergence of technology and sustainability. These individuals are helping to design tomorrow's companies, communities and cities, harnessing data, sensors, software, analytics, the cloud, and all of the other tools of our digital world. They are both visionaries and doers from companies, nonprofits, government agencies. They are behind some of the world's biggest companies and some of the most promising start-ups. They are leading the change to a more sustainable future. Check out the nominations for the VERGE 25.